Barnes Swimming Club is committed to the welfare of all swimmers and children as detailed in our child protection policy. Safeguarding children should be an integral part of all club activities, so that we can create a culture that provides a safe, happy and fun environment in which children can learn to swim and develop to a level appropriate for their ability. The purpose of these pages are to set out guidance and procedures that outline the responsibilities of staff, swimmers, parents who are members of or associated to those within Barnes Swimming Club. Our Welfare Officer is Elaine McDaid who can be contacted at any time to talk to or ask for help. The club has SwimMark accreditation which is Swim England’s quality standard for clubs. It recognises high standards of governance, sustainability and effectiveness. This is the Swim England’s ‘quality mark’. It recognises nationally and regionally the clubs that are committed to providing safe, effective and quality services for the benefit of their members. It is also the Swim England's Club Development model - a planning tool, based on the principles of Long Term Athlete Development, enabling clubs to help athletes, teachers, coaches and administrators to achieve their full potential. It focuses particularly on the needs of athletes - striving to provide them with the best possible support and environment. This policy runs in accordance with the overall Code of Conduct, available on our website it should be read by every swimmer and signed by swimmers and/or parents (or those with parental responsibility). Barnes Swimming Club fully endorses and operates in accordance with the Swim England's Child Protection Policy (Wavepower) and the Swim England's Code of Ethics, details of which can be found on the Swim England's website or by speaking with the Club Welfare Officer (details below). Barnes Swimming Club has adopted and implemented the Swim England's Child Safeguarding Policy and Procedures. These are laid out in the Swim England’s Wavepower 2016/19 manual. Wavepower is about safeguarding children and young people in line with current legislation and guidance ( www.swimming.org/swimengland/wavepower-child-safeguarding-for-clubs/ ). Barnes Swimming Club, whilst offering a professional swimming opportunity for all swimmers, takes as its primary concern the safety and well being of all the children and young people who are members of the club. The responsibility to safeguard children in our clubs and related activities lies will all those involved in the sport and is not the sole responsibility of any one person at club, county or national level. All members (whether swimmers, parents, staff member), when attending any event or training session or when engaged in any business or activity on behalf of Barnes Swimming Club, have a responsibility to ensure that children are safeguarded and protected from any risk of harm. Any such risks, once identified should be reported to the Club Welfare Officer, or steps taken in accordance with the Swim England's Child Protection Policy. 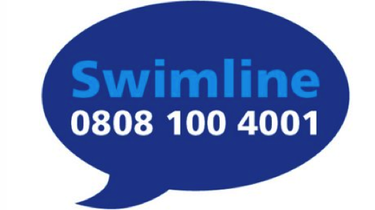 The Welfare Officer has a duty to report any concerns brought to their attention in accordance with the Swim England's Child Protection Policy.